Special Offer on Memberships and Membership Extra! Special offer for the month of July – August 2011. 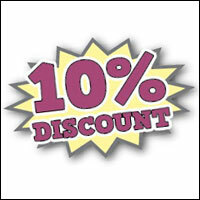 I'm offering 10% on annual membership and membership plus and school memberships. It's like you're getting more than a month membership for free! As you probably know this website is how I make my living. Around two thirds of my income comes from subscriptions. I literally couldn't do this without the support of my subscribers, thank you to you all! 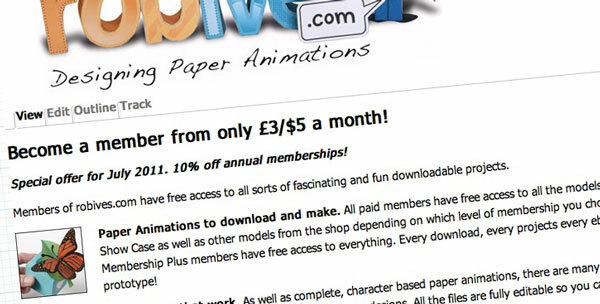 There are a few other websites out there that use the subscription model, I'm subscribed to a couple of them myself. One of the common features that I'm beginning to see on subscription based sites is the option to allow subscribers to pay a higher rate if they are able and willing. Not one to walk past an interesting idea untried I have added a similar option to robives.com. If you are willing and able to support me at a higher than standard rate I have set up Membership+ Levels 2, 3 and 4. Members of these new levels will receive the full benefit of membership+ as well as a few extra little treats. See the page Extra page for more details.